Clean vegetables, cut them into desirable size. Add garlic and stir-fried it until it's golden color. 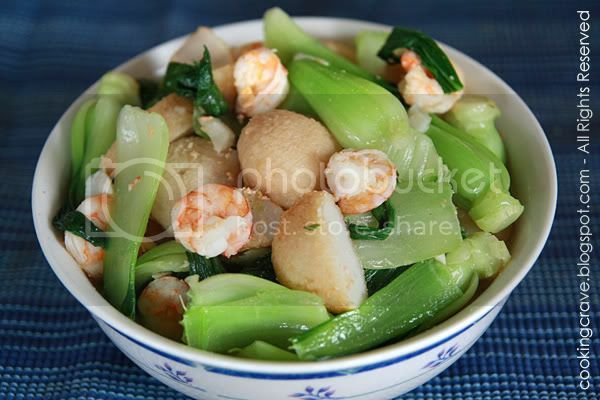 Stir in shirmp, add in some pepper and continue to stir-fried it till it turn red color. Add in vegetables and continue to cook it for few minutes. Add some salt to taste before dish up the vegetables.